One week into the year and fashion gurus are busy mapping out the styles and trends that will prevail this year. So far, it looks like the year 2018 is going to be a thriving fashion year with a great many new styles already in the queue waiting to be launched and some carryovers from last year which are going to be reincarnated this year. In rings, some very specific trends are going to pervade this year, some fresh new ones and others, remnants from 2017, revised and repurposed. So without delay, let’s dive into the highlights in ring trends of 2018. Open rings are going to rise to move from the border and step into the center stage this year. This style has long lived in the fringes. The year 2018 will shed some light into underrated, but spectacular style of rings. 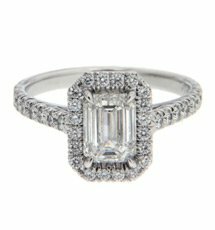 In fact, style experts are hoping to see this style navigating into the engagement ring genre successfully this year. 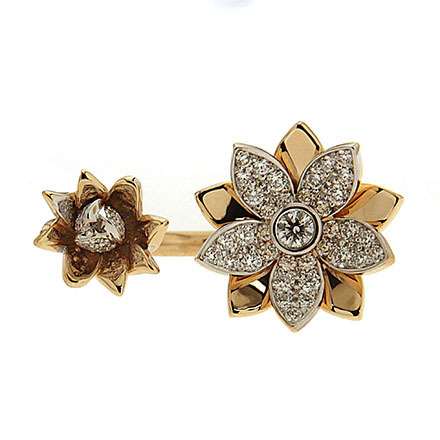 The key features of an open ring are a disjointed top, mostly edged with two medium sized gem stones. The open ring will open up the chance of close customization. This year, we will see many more new cuts entering the arena of gems. Those we already have may have to take a step back while these new entrants make their appearances in the market. The shield cut for one is going to become more visible than it ever was. On the whole, cuts that are a far cry from the classic and regular cuts will pop up in the galleries this year. Solitaires are going to be dulled out from these spectacular gem-heavy eternity rings. 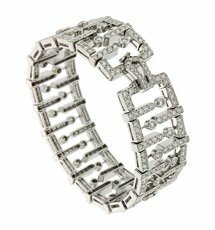 Instead of a single center stone or multiple micro-stones, these eternity bands will carry an excess of gems, something that may dim out the solitaires for a while. It goes without saying that these rings will be worth three times the price of a regular solitaire because of their gem content. 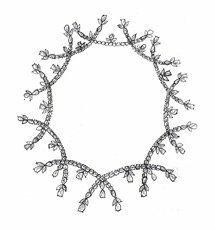 You will see more gorgeous gems in jewelry this year. Peachy stones, pale pink stones, bluish stones, etc. are going to dominate the choices this year. 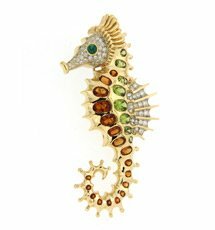 Also, the former glory of yellow gold will be restored further as these fancy colored stones come to pair with yellow gold to create swoon-worthy baubles this year.